Man's best friend can come in many forms, and might have four paws and fur, or it could have two feet and feathers. Either way, having a pet is one of life's great joys: to have the companionship and love of an animal that's more like a family member. Whether dogs, cats, rabbits, fish, birds or reptiles, a pet not only provides friendship, but also mental health benefits. This makes them ideal for seniors, whether they live with a spouse, family or alone. Still, owning a pet is a big responsibility — a line parents like to recite when negotiating with puppy-obsessed children — but it holds true later in life, too. Having a pet not only entails cleaning up all the fur shed, but also factoring in the dollar cost of food, care and even medical bills. Here's what to consider about pet ownership in senior living. Sometimes owning a pet can be a walk in the park — literally and figuratively — but other times it can be more intensive. Finding a pet that requires a level of care that suits your lifestyle is important. Seniors may want to avoid certain breeds of dog for this reason. Collies, for instance, need a great amount of exercise and are boundless balls of energy. It's up to you if you can deal with such a high level of care, but such dogs aren't the right pet for everyone, no matter how adorable they are. Maybe cats or fish are more your speed? Cats are notoriously self-sufficient creatures, but the secret is they enjoy your love as much as a dog. Fish, on the other hand, might not show the same outward appreciation, but they also don't need daily walks and are just as pretty to look at. It's all about finding the pet that fits your lifestyle. If you do want a dog, consider a senior pooch rather than a hyperactive puppy that will require los of training. Local shelters usually have a tougher time finding homes for senior dogs, but older individuals themselves may make the best owners. The big factor to take into account is cost of ownership. Seniors usually live on fixed incomes, which can sometimes complicate a living situation if pet ownership costs constrain the budget. Dogs, for example, can fill your heart with love but empty your wallet in the meantime. 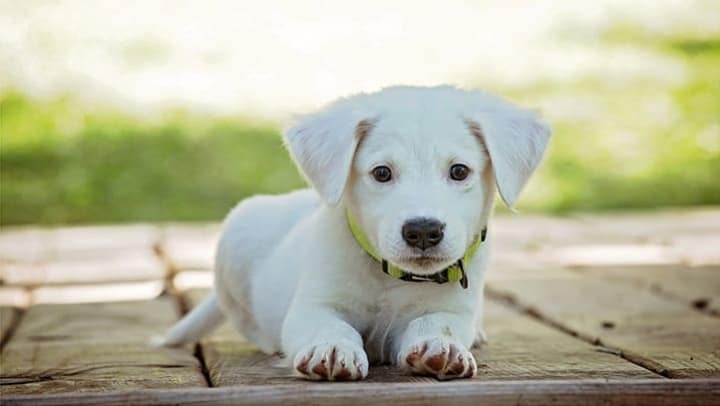 According to American Society for the Prevention of Cruelty to Animals statistics cited by USA Today, the first year of owning a dog can cost up to $1,314 for smaller dogs and $1,843 for larger breeds. This sum factors in usually one-time expenses like neutering/spaying, vaccinations and basic needs (like a crate). The cost of owning a dog does decrease with time, but can still cost $580 - $875, as growing dogs need food to munch on. The surprise of a medical bill can also cause sticker shock if Fido got into a box of dehydrated mashed potato flakes and ruined his tummy. Seniors, because they generally live on fixed income, need to find a pet that not only suits their personal lifestyle, but also their financial means. Cats are much more low-touch than dogs, while other options like geckos or frogs are even less intensive. Of course, it all depends on your preferences, but be sure to consider the cost of whatever pet you have your eyes set on. Adding a pet to your home isn't a problem if you live in your own residence. Of course, your carpets may want a say in the matter, but there's generally no higher authority you have to clear it with. The rules change when you're living in a retirement community. Making sure that pets are allowed by your chosen community is an important hurdle to clear. That's not to say most retirement communities ban animals, many in fact encourage seniors to keep pets for companionship. However, if you have a rottweiler and are moving into a new facility, it's best to keep administrators apprised of that fact, as certain breeds of dogs carry greater insurance risks. Small dogs aren't entirely absolved in this question, either. Pint-sized pooches are known to have bigger barks, and it's important that your pet can acclimate to living in the community. Of course, the lower-touch the pet, the less likely stringent regulations will exist. For instance, if you have a terrarium and a turtle, it's still good to inform administration, but it's unlikely many rules will apply. Owning a pet as a senior can provide much-needed emotional and social support. However, there are always particularities to take into account when looking for a furry or feathered friend. Notably, cost of ownership, community rules and level of care are important items to consider in senior living.